We are a friendly club based at Wolverhampton Swimming and Fitness Centre and we have over 250 members. We are both a teaching and competitive club and our swimmers range from 5 years to Adults (Masters). We take all abilities from complete beginners to competitive swimmers. The swimmers are coached by fully qualified, friendly and dedicated staff. Every swimming member is valued and encouraged to work together to achieve their goals in a fun and caring environment. If you are interested in joining Heath Town Swimming Club then please visit the Contact page. 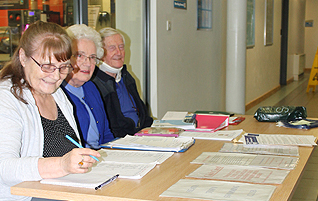 The Committee Group meet once a month and is made up of volunteers from the local community. We sell a range of items from swim suits, trunks to goggles and caps in our shop. visit: Mid Wales Trading or Black Country Websites for more information.